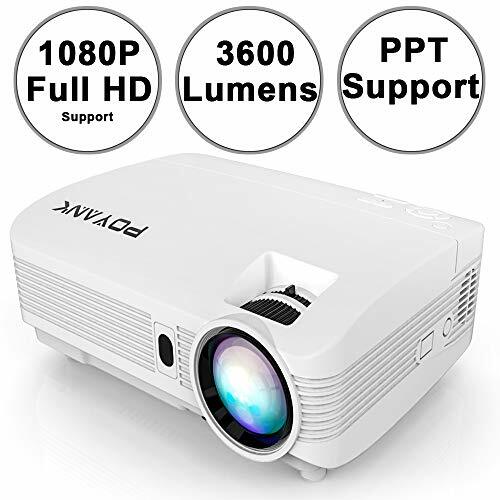 &#x1F340; Native 720P LED Home Projector: POYANK Video Projector innovates the higher native resolution of 1280*720 to achieve customer's requirements of clear and delicate image but little pixel image quality, which can perfectly meets your home theater needs no matter for indoor or outdoor movies in daytime and night time. &#x1F340; 3600Lux High Definition LCD Projector: POYANK Projector has improved the Brightness to 3600Lux, Max. Resolution: 1920x1080 pixels, 1080P Full HD Supported, with square pixel processing technology to reduce the image edge jaggedness. By doing this, PPT Presentations in small meeting room or Teaching Material can be easily solved. &#x1F340; 200" Large Display for Home Entertainment: At the distance of 1.55M to 4.3M, POYANK video projector can project the display image of 50" to 200" (Max 300" at the distance of 10M) which can release you from the small TV display when playing PS3, PS4, WII, XBOX & other video games. &#x1F340; Built-in Dual Stereo Home Theater Speaker: POYANK home theater projector adopts with two build-in Stereo Speaker. Brings you the 3D shocking music effects no matter for music playing or Hollywood movie playing. You can hear it & you can feel it. 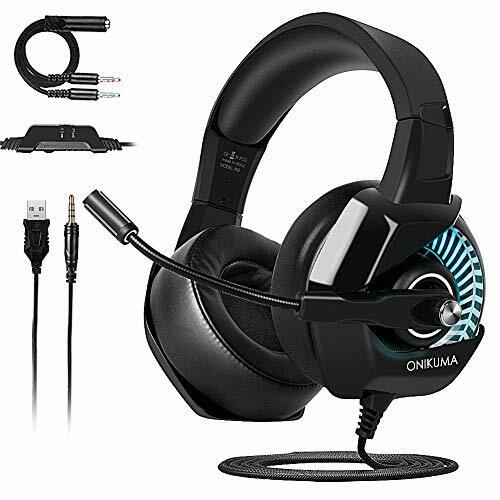 【Wide compatiblity】onikuma newest gaming headset with mic supports multi-platform device such as PC, PS4 Controller, Nintendo Switch/3DS, PSP, Mac, iOS/Android device, laptop, PC (Win7, Win8, Win10), Xbox One. Note: old version Xbox One requires an adapter (not included). 【Clear & accurate sound thanks TO high precision 50mm magnetic neodymium driver and featuring 7. 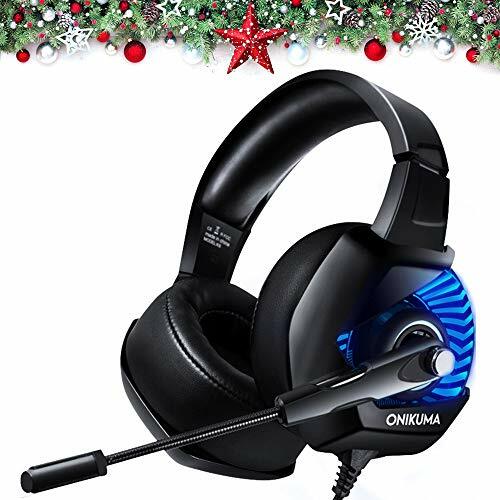 Channel Surround sound, ONIKUMA K1 Pro gaming headset provides you with an immersive audio experience like a Grenade blast, or a dubstep drop and footsteps of enemies. 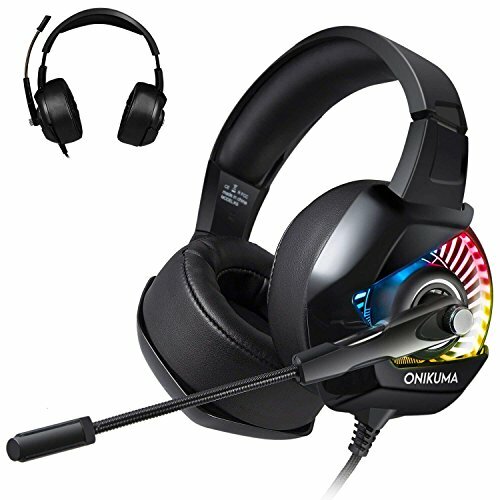 【Noise-cancelling microphone】onikuma PC gaming headset is omnidirectional adjustable and Flexible to pick up voice in 360 degrees. External audio control: mute button and volume control housed on the high-grade durable braided wire are designed conveniently for quick and convenient adjustment. 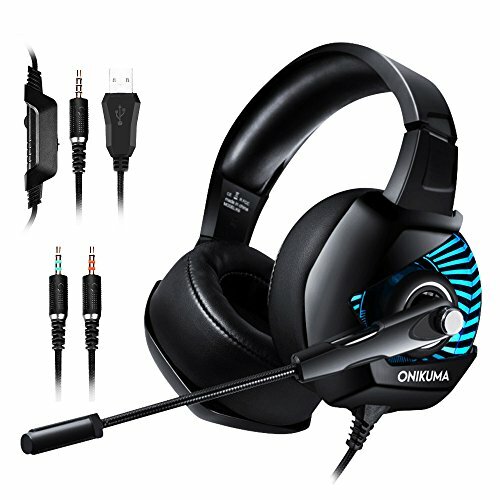 Equipped with super strong cords and joints, ONIKUMA USB Gaming headset features long-lasting durability. 【Lifetime & 24 hours customer service we offer a lifetime replacement policy and 24-month money back. Being in the industry of gaming headsets for over 10 years gives us a competitive edge that allows us to offer remarkable customer service. The right of every customer is full. 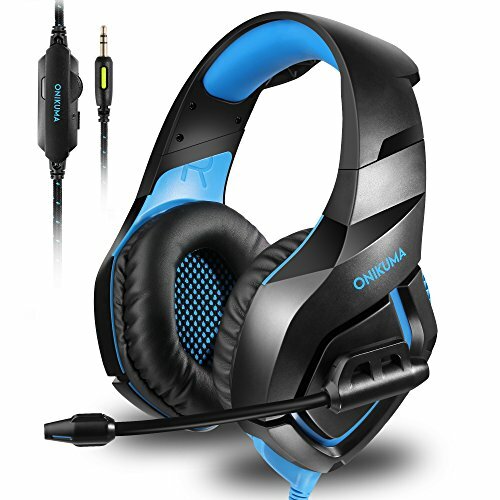 Overall, ONIKUMA Gaming headset comes highly recommended! 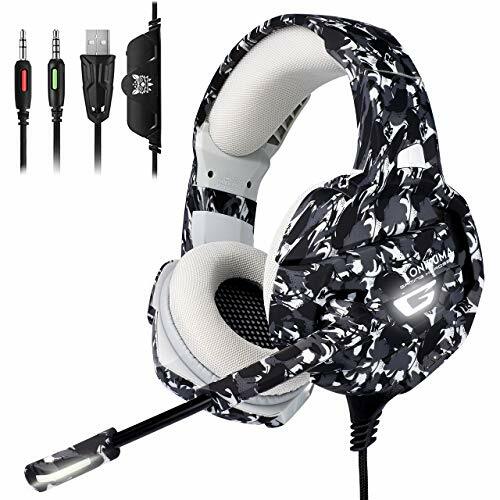 &#x1F3A7; 【immersive gaming experience】onikuma k5-camo gaming headset brings you crystal-clear sound of bombing, footsteps, Warcraft in the flight. With the clear sound of 7.1 virtual Surround Effect, high-grade 50mm driver with neodymium magnets delivers super clean bass. 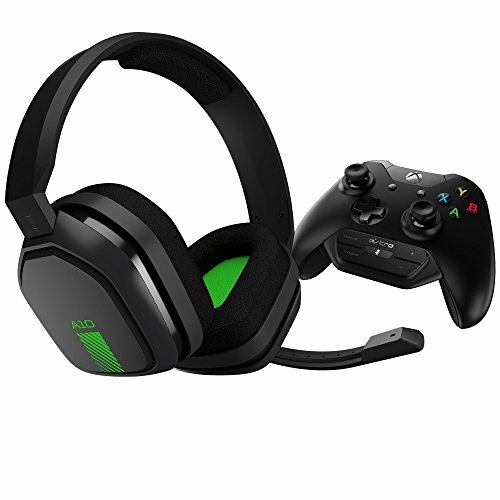 Our Xbox One headset can visualize the scene in your game and help you locate the flying bus accurately. 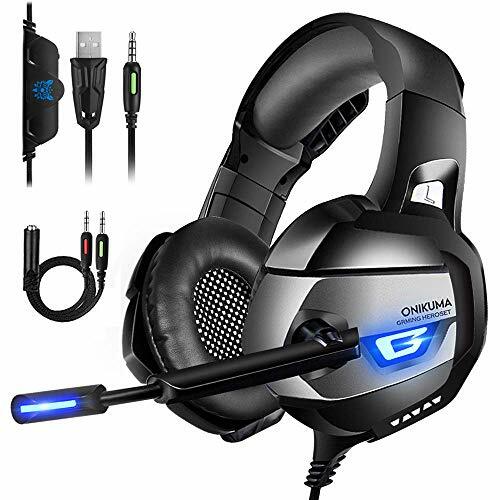 Wise choice for the current top sports games: Loll, csgo, Dota2, Fortnight, PUBG, Apex legends, etc..
&#x1F3A7;【Prominent Humanized Design】Designed for light weight comfort, with ergonomic and durable breathable protein over-ear pads, Retractable head beam, flexible and fit headband, The PS4 headset with mic relieves you from ear pressure, hearing impairment heat sweat in the long time Fierce game. The earphone mic with sparkling LED light can be adjusted flexibly to pick up your voice all-dimension. 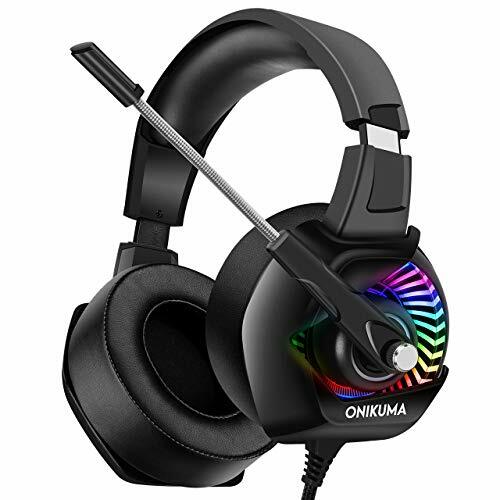 &#x1F3A7;【Versatile compatibility】onikuma gaming headphones with 3.5mm Audio jack are compatible with Nintendo Switch (Audio), Nintendo new 3DS LL/3DS (Audio), Nintendo 3DS LL/3DS (Audio), Windows PC, Mac OS PC, iOS Device, Android device, PS4, PS Vita, Xbox One controller (Please kindly note: newer models have a headphone jack, older ones require an adapter). 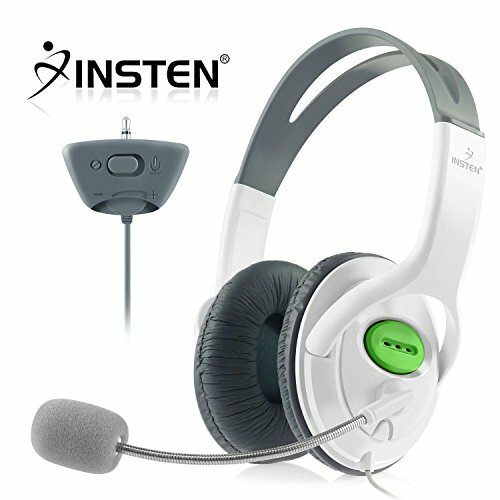 ♫ SUPREMELY COMFORTABLE GAMING HEADSET --- Only top quality materials are used and the attention to detail is superb. All of our headsets are developed in light materials for optimal comfort, so you feel the game - not the headset. Thick yet soft padding, ear cups that are big enough to contain your entire ear, a flexible headband, and skin friendly leather material for a longer period of wearing. 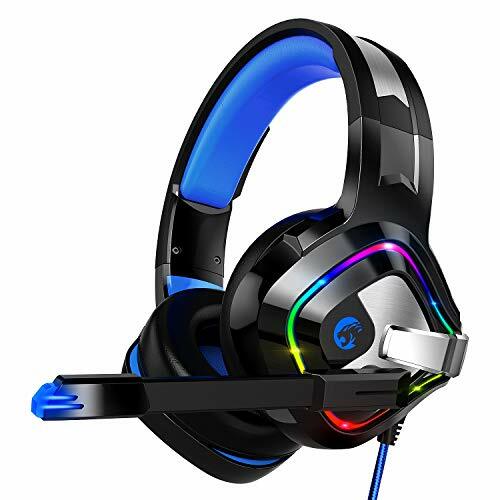 RGB lighting desigend on the earcups to highlight game atmosphere. 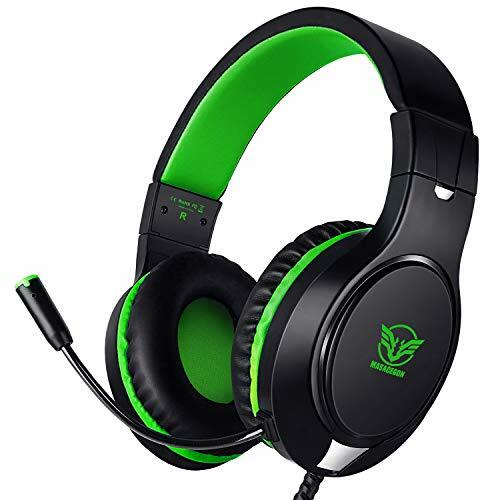 ♫ CLOSED-BACK HEADSETS GAMING --- Closed-ear gaming headsets, fit closer to the ears and therefore reduce airflow. The benefits of closed-back is that it blocks out more background noise allowing you to hear more sound detail especially in loud environments, and they prevent sound leakage so others around you won't hear your audio much if at all. 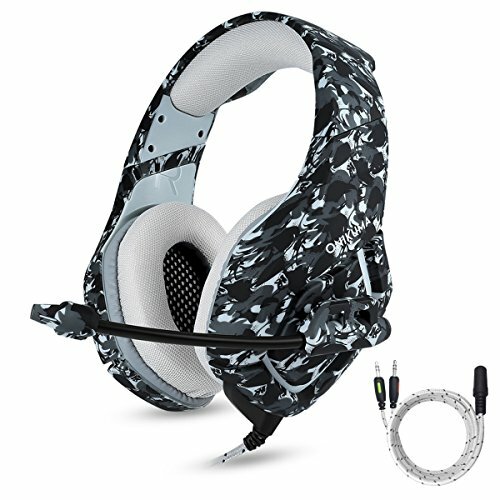 Plus, closed-back headsets typically have better bass.The braided fabric cable ensures long-lasting durability. 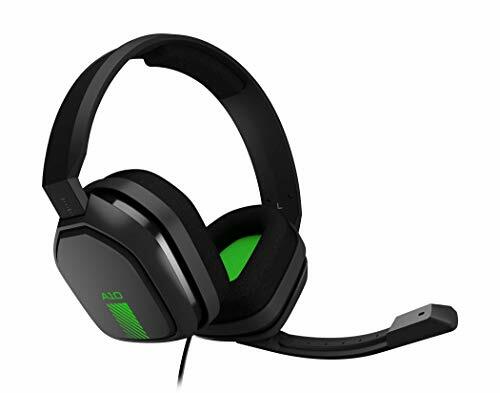 Featuring Dolby Headphone, the Razer Thresher 7.1 for PlayStation 4 provides you with industry-leading audio realism. 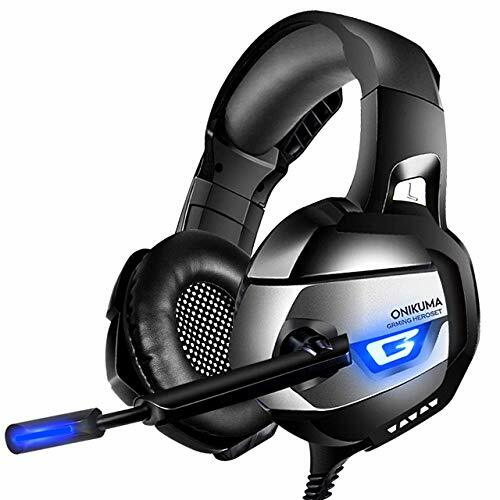 Whether you need to detect where the enemies are coming from or hear your aerial backup flying past overhead, you can expect to hear every single detail in utmost clarity for a truly immersive gaming experience that will put you ahead of your opponents. 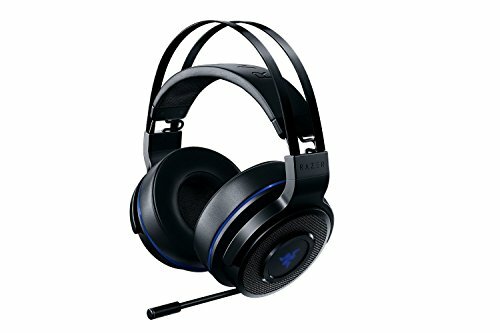 The Razer Thresher 7.1 for PlayStation 4 is engineered to ensure a lag-free long-distance connection of up to 40 feet / 12 meters. The retractable digital microphone gives you the flexibility to communicate with your teammates clearly, even in loud environments, delivering your commands with true-to-life quality and reliability. Circumaural design with 50mm Driver Units providing crystal clear audio, and up to 16 hours battery life on a single charge. Cool gradient LED lighting effect. When you plug your headphones into the device, a cool red light will shine on your ears. 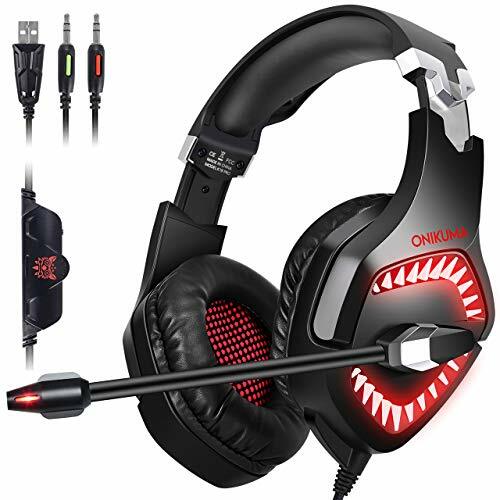 Shocking & high-quality sounds immerse you into gaming atmosphere. 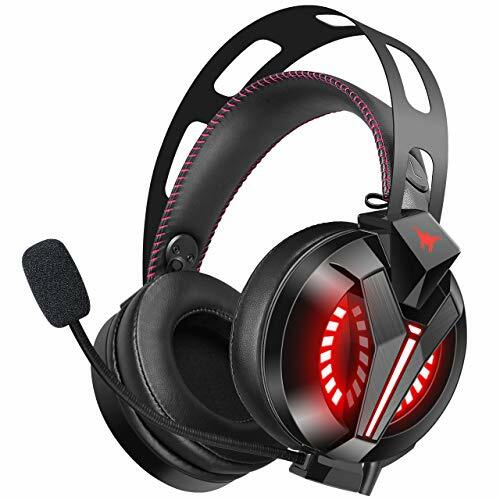 The high-precision 50mm magnetic neodymium driver inside and effective ambient noise isolation, acoustic positioning precision enhance the sensitivity of the speaker unit, providing you with an outstanding sound-clarity gaming experience. 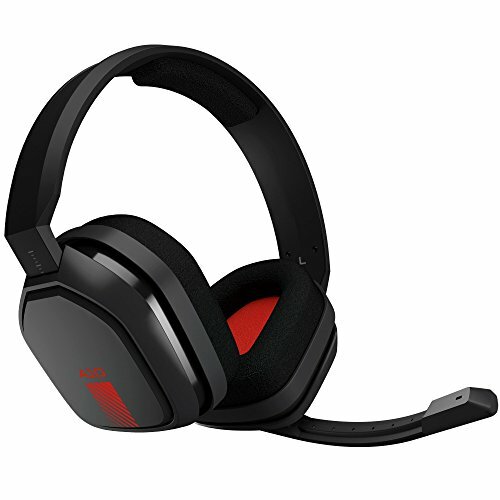 Equipped with advanced high-sensitivity noise canceling microphone. 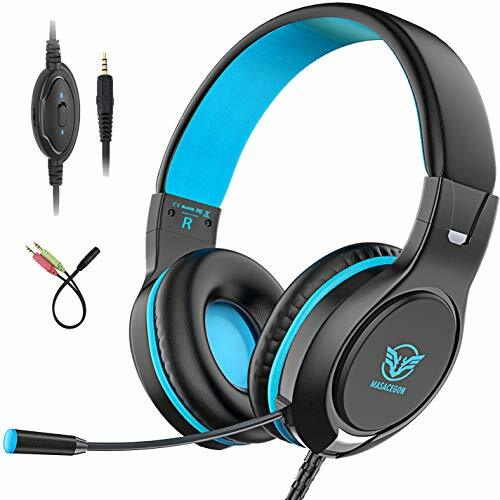 This sophisticated anti-static design enables the soft, noise-reducing microphone to transmit high-quality communication gaming signals through its excellent noise cancellation function, allowing you to communicate smoothly with your teammates and achieve perfect cooperation. Ergonomically designed ultra-comfortable skin-like protein earmuffs. 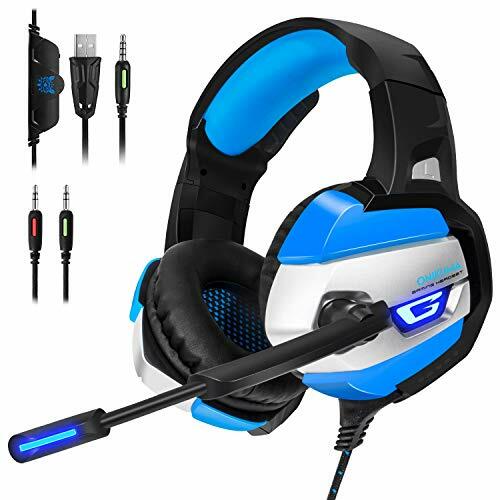 It can reduce hearing impairment and heat sweating, without any sense of press when in a long time gaming, soft memory sponge with retractable headband fit all gamer head. Universal compatibility to fit on most devices. Support PS4, PS4 Pro / Slim, Xbox One, Xbox One S / X, PC, PSP, Nintendo Switch 3DS LL / 3DS, Laptop, Playstation 4, Tablet PC, iPad, Mobile Phone. Get ready for big action! This highly detailed WWE Wrestlemania 2-pack features pure energy-thumping pairs and celebrates key rivals and teammates. Each WWE Wrestlemania Superstar is approximately 6-inches in scale and comes with detailed ring gear and signature Superstar expressions. Each also includes iconic accessories and battle objects. Host your own action-packed WWE Wrestlemania battles with this thrilling two-pack! 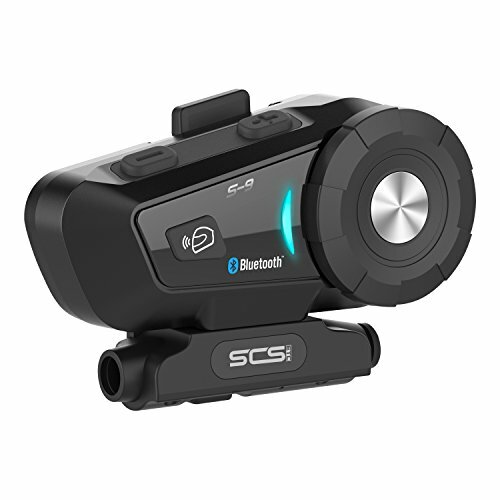 【SUPERB AUDIO QUALITY】Immersive stereo sound effect with the 50mm driver. The bass hits hard and the high are crystal clear. Sound is loud and clear. The soft and adjustable over-ear covered ear cups offer better noise insulation experience. 【COMFORTABLE WEARING DESIGN】The retractable headband and the super soft ear cups makes it has flexibility to fit different people perfectly. Lightweight and comfortable to wear makes it easy for long time use. 【NOISE REDUCTION MICROPHONE】 Onmi-directional positioned of the microphone can be adjusted freely. With the noise reduction function and the sensitivity of the microphone makes the sound pick up and transmission clearly and loudly. 【IN-LINE VOLUME & MIC CONTROL】 Braided wire with the 3.5mm connector of the decent length of 1.2m.Convenient to use without any twist. With the Y Splitter adapter can be extended to 2.4m for PC. The handy volume roller and the microphone on/off switch make the adjustments precise and quick. 【SUPERIOR COMPATIBILITY】 Designed professionally for gaming devices PS4; PS4 Pro; PS4 Slim; Xbox one;Xbox one S;Nintendo Switch. Meanwhile, fits for pc; laptop; smartphones and other devices with the 3.5mm audio connector. 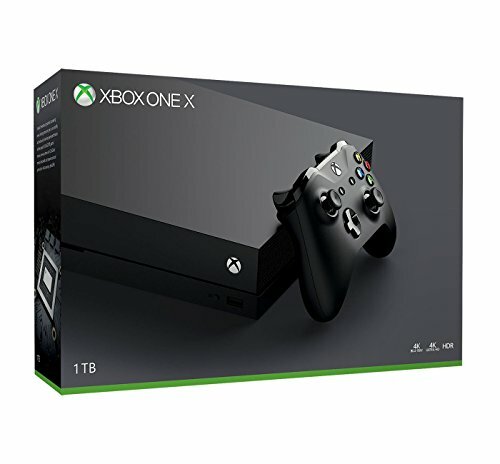 (PLEASE NOTE: the old version Xbox one require additional adapter).